Saturday 10th November is equal pay day, the day of the year where women officially start to work for free. Although it falls on a weekend this year, it’s the same date as last year, proving the average hourly full-time pay between women and men (13.7%) hasn’t changed since 2017. But do you know the difference between Equal pay and the Gender pay gap? Equal Pay relates to men and women in the same employment. If you are performing equal work, according to the Equality Act 2010, you must receive equal pay. 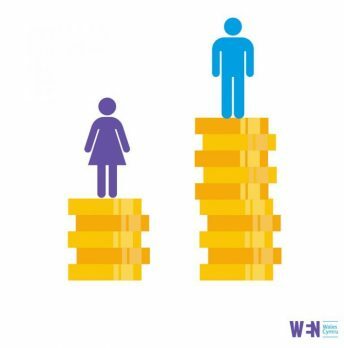 In Britain, the overall gender pay gap is 18.1%, although for women of colour, immigrant women and mothers, the gap widens due to the nature of work that many women take part in (unpaid caring, working less hours due to child care and women working in lower paid sectors than men). Yesterday, our friends at the Fawcett Society launched the Equal Pay Advice Service, with the help of funds from BBC’s Carrie Gracie’s back pay, after she successfully fought BBC bosses to recieve equal pay after it was revealed she hadn’t been given the same salary as her male collegaues doing the same job. The advice service is aimed at women earning £30k per year or less to resolve their pay dispute with their employer and to secure them the pay they are owed.